Chandigarh, India: In the lead of Chief Minister Amarinder Singh, the Punjab Assembly passed a resolution unanimously. 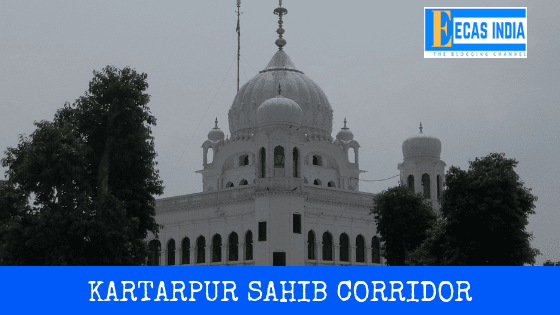 Under this proposal, the central government has been requested to talk to Pakistan on the issue of opening the Kartarpur Sahib corridor during the 550th birth anniversary of Guru Nanak Dev Dev, the first Guru of the Sikhs. On the second day of the monsoon session of the assembly, the Chief Minister presented the proposal. All the members of the House expressed their views on opening the corridor above the party line and said that this will enable millions of Indian pilgrims to be able to pray in the Shri Kartarpur Sahib Gurudwara. The first Sikh Guru had spent the last moments of his life in this gurudwara, which is located in Pakistan across the international border. Although it is clearly visible from Dera Baba Nanak located in Gurdaspur district of Punjab. While presenting the motion, the Chief Minister told the House that he has already written to Union Foreign Minister Sushma Swaraj to talk to her Pakistani counterpart on this issue. He said that the Punjab government had urged the Indian government many times to raise this issue before Islamabad. He said that opening the corridor has been a dream of the Sikh community.